We enter our romantic relationships with great love, hope, and excitement--we've found the 'one', so we plan and forge our futures together. But sometimes, for many different reasons, relationships come undone; they don't work out. Commonly, we view this as a personal failure, rather than an opportunity. And instead of honoring what we once meant to each other, we hoard bitterness and anger, stewing in shame and resentment. Sometimes even lashing out in destructive and hurtful ways, despite the fact that we're good people at heart. That's natural: we're almost biologically primed to respond this way. This paradigm-shifting guide will steer you away from a bitter end and toward a new life that's empowered and flourishing. 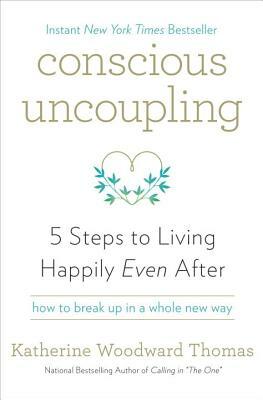 KATHERINE WOODWARD THOMAS, MA, MFT, is the author of the national bestseller Calling in -The One-: 7 Weeks to Attract the Love of Your Life and is a licensed Marriage and Family Therapist, co-creator of the Calling in -The One- and Feminine Power online courses and certified coaches trainings, and creator of the Conscious Uncoupling five-step process, online course, and certified coaches training.